Description: Concept of healthy breakfast. Chef looks into a faceted glass with a mix of different flakes. 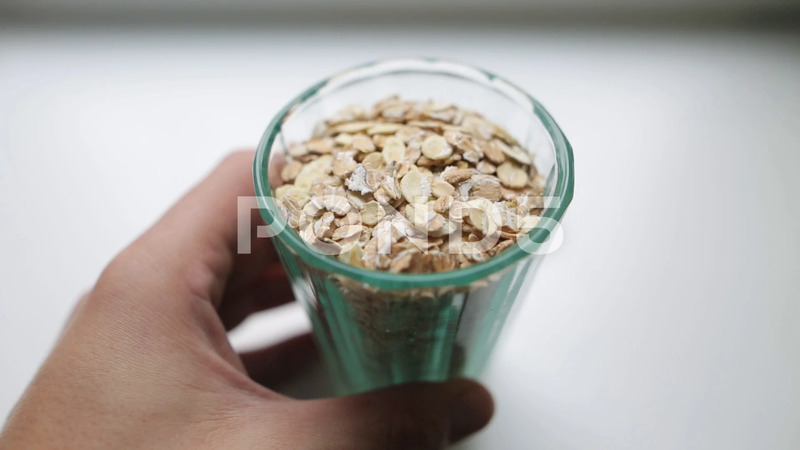 Male hand hand holds a glass with porridge oatmeal flakes. Closeup shot.